Mike Keneally shows, tours, gigs and appearances, with setlists, comments, photos and more. 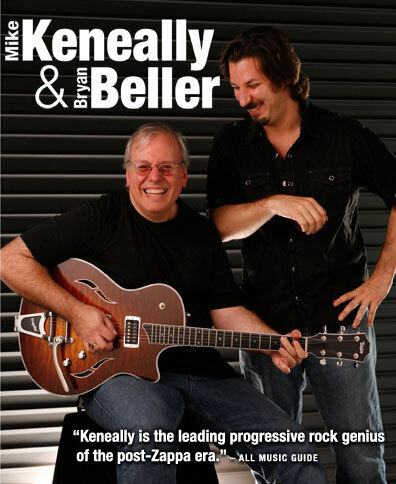 MK and BB return to touring the US as part of the Taylor Guitars tour. The debut of a new MK/BB touring concept: the MyKeneally Tour. Dëthkløk is back for a Fall tour. Bryan Beller Band celebrates the release of Bry’s new CD, Thanks In Advance Plus Mike Keneally, Rick Musallam and Nick D’Virgilio (Band name to come soon!) 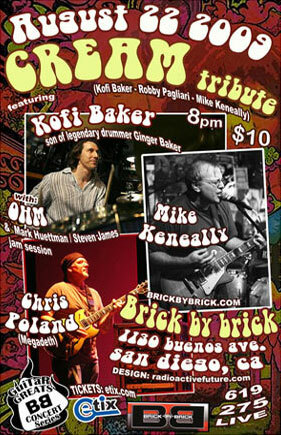 will play a short opening set of cover tunes! Mike’s doing an hour-long DJ set to celebrate Record Store Day! notes: Hosted by Kevin Franklin at Guitar Works in Greenwood, Mike and Bryan played to a sold-out crowd of ~80 people in a smallish room – tickets proceeds benefitted local Red Cross and food-pantry charities. Kevin’s a first-class goofball, and he contributes a great Dweezil Zappa story in addition to emceeing the raffle-giveaway of a guitar and some related gear. I include the entire show here, including his bits, in the interest of continuity; you can choose to play back only the music tracks if you get tired of hearing the talk. Mike played a few different Taylor guitars throughout the show – listen closely and you’ll be able to figure out which one is featured on each song (hint – there was only one acoustic). notes: Hosted by Jim Steilberg at Steilberg String Instruments in Louisville, Kentucky, Mike and Bryan played to a sold-out crowd of 90-ish people in an upstairs room that got a little warm as the show progressed, but still sounded great. Mike played a few different Taylor guitars throughout the show – listen closely and you’ll be able to figure out which one is featured on each song (hint – there was only one acoustic). 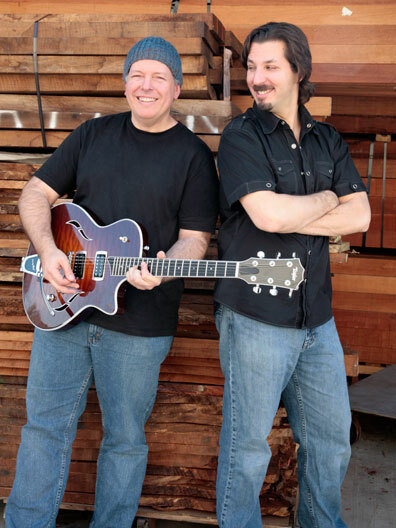 Mike and Bryan stand by Taylor Guitars’ high-quality wood. notes: show was 4p-8p with Space Brothers doing opening & closing sets. MK/BB did middle set.